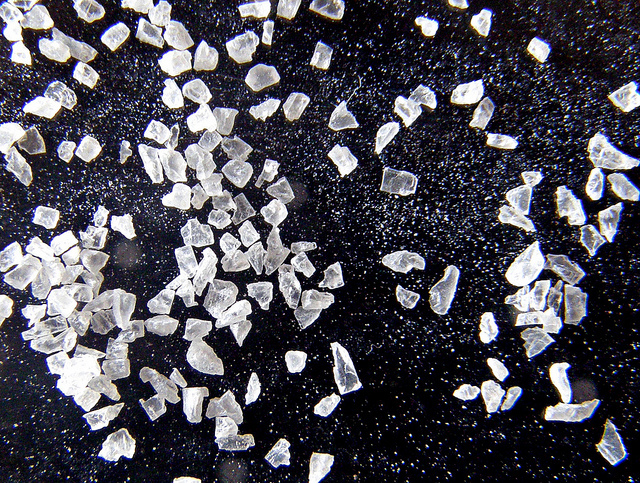 Is a high sodium intake bad for you? Some dietary choices are harder to implement than others. Most of the time I try to log my food in a fitness app to try and stay on top of my preferences, and introduce tweaks when I get a particularly bad rating. Oh, you had that lovely Asian-style instant noodle soup for lunch? Great, enjoy this health rating of minus ten thousand because that thing was loaded with salt! No, the app does not care for what tastes good. Sodium intake is probably one of the most difficult things to keep in check – even if you cook most of your meals at home and avoid processed things, plenty of the most flavoursome condiments, sauces, soups and other foodstuffs you can whip up in your kitchen can still be loaded with salt if you’re not careful. Let’s face it, we can’t do without salt. However, eat too much sodium for too long and your blood pressure may rise, leading to heart disease risks when you’re older. Thus general dietary guidelines advise not ingesting more than four grams of salt a day, and set the upper limit at six grams. Turns out that most Australian adults actually eat as much as 10 grams a day, putting their long-term health at risk. Because it’s so difficult to ‘do the right thing’ when it comes to limiting salt intake for health reasons, if scientists changed their minds and said it’s actually ok, that would be really nice, wouldn’t it? Oh, look, just such a study was published online today in JAMA Internal Medicine. A team of US researchers analysed ten years worth of self-reported sodium intake data from more than 2,500 adults aged from 71-80 years, and looked at their health during this time as well. How fascinating! I should go eat more pickles, then. The lesson here – never concentrate on the individual results from just one study, because what if it turns out to be a dodgy one with a catchy conclusion? After all, the basic picture of a healthy diet has been pretty clear for quite a while now. Lots of veggies and fruit, whole grain, avoid processed stuff, have variation, no overeating. Try not to overdo it on fat, sugar, and salt, and you’ll probably be okay. Not that I’m a diet expert – even my fitness app thinks I’m terrible at eating well. It’s probably all those pickles. Do you ever crave salty things? Because right now I really, really do.